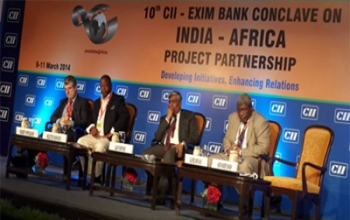 Botswana attends the 10th CII- EXIM Bank Conclave on India - Africa Project Partnership. 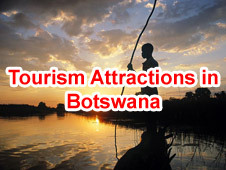 In addition, Botswana\'s main referral hospital has performed its first trans-oesophageal echocardiogram. speaking at a press conference last Wednesday, Dr Mololekwa said these achievements were the result of a maturing cardiac centre of excellence that PMH had pioneered over the last two years, with the support of a Mauritian open-heart surgery team led by Professor Sunil Gunness.Dr Molelekwa noted that Professor Gunness had saved many lives in Botswana. \"Since the inception of our programme, we have lost a total of three patients, one from the investigations and two as a result of the heart operations themselves,\" he said.He emphasised that no one died during the series of tests that were performed from Friday to Sunday at PMH last week. \"To-date, Princess Marina boasts of having conducted 21 open heart surgeries, 64 coronary angiograms and 266 echocardiograms,\" he said.